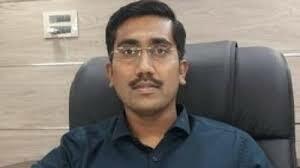 Shri Shirsat Kapil Ashok, IAS, Collector & District Magistrate is an officer of the Indian Administrative Service (IAS) belonging to the batch of 2011. He did his B.Tech, Agri. Engg from MPKV, Rahuri and M.Sc. from IARI, Delhi. With an impeccable academic background, He served as an Assistant Collector at Madhubani district. He also has served as Municipal Commissioner at Patna Municipal Corporation from April-2016 to june-2017, before becoming the Collector & District Magistrate, Madhubani.